In the last mailing we told you about MVUT’s leadership effort in getting the Mt. Vernon City Council to pass a resolution seeking to overturn the horrible Supreme Court decision in Citizens United. We also included a copy of the City Council’s Resolution. We mentioned that we’d do a “Community View” in The Journal News. Dennis and Roberta Apuzzo, the President of the Mt. Vernon City Council (not MVUT), co-authored same and it ran this past Saturday July 21. Here’s a copy of the article. (We notified The Joumal News of their error in listing Ms. Apuzzo as President of MVUT and not the Mt. Vernon City Council, and The Joumal News has confirmed to us that they will post a correction on their website). Dennis participated in this important and exciting event sponsored by the White Plains and Greenburgh NAACP, and Blacks In Law Enforcement on Saturday July 21 at the Greenburgh Town Hall. A major focus of the meeting was the issue of “disproportionality”, i.e, the fact that Blacks and Latinos are “disproportionally” represented in numerous categories such as the criminal “justice” system, public assistance, foster care, special education etc. The case of the killing of Kenneth Chamberlain, Sr. by White Plains police was also high on the agenda. His son, Kenneth Chamberlain, Jr. was there and shed light on developments in the case. There were mothers from Mt. Vernon who had lost children to senseless violence that plagues our streets – and there was determination on their part not to “give in and run away” but to fight to make our city the great place it has been. There were many important leaders on hand, elected and community, who committed to work together on these important issues confronting us. See article in Greenburgh Daily Voice about the forum. As one effort to respond to the concerns raised in the above, the Voter Education Advocacy Committee, made up of the African American Youth of Westchester, the Nepperhan Community Center and a host of other organizations, are sponsoring an important Voter Registration Forum on Saturday August 4 from 10:00 am – 1:00 pm at the Riverside High School at 565 Warburton Avenue in Yonkers (see enclosed flyer). MVUT has voter registration applications at our office and we’re actively trying to register any unregistered people who come to our office. Likewise we’d encourage any of our members and friends to direct anyone they may know who’s not registered to come to the MVUT office and fill out their registration. MVUT will even provide the postage to the Board of Elections! There are important elections coming up – the Presidential election this November and the County Executive race next year. We must do all that we can to make sure that as many people become registered who are able to. We should also try to get people involved in local campaigns to let them begin to exercise power in their lives. We’ve explained in past mailings specifically on the Citizens United case, how the ugly influence of big money is diminishing our “democratic principles”. Voter registration and education is one (1) counterweight to this insidious phenomenon. Let us know if we can do a voter registration campaign in your building? In your neighborhood? Call us! Keep that in mind when filling out the following Donation Form. Thanks. 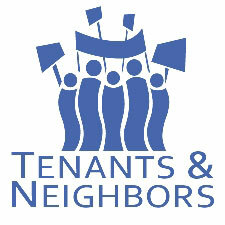 June Brings Big Victories for Tenants & Democracy! Victories For Tenants and For Democracy! Big Month For MVUT!! 1) Helped secure low guidelines for rent-regulated tenants! 2) Promoted a Mt. Vernon City Council Resolution that passed calling for the overturning of the disastrous U. S. Supreme Court decision, Citizens United!! 3) Prevented 18 evictions and helped rehouse 1 family!!! MVUT was the key player, organizing tenants for participation in the three (3) Public Hearings and the two (2) subsequent Public Meetings that resulted in the Westchester Rent Guidelines Board (WRGB) passing renewal guidelines of 1.25% for one (1) year renewals, and 2.25% for two (2) year renewals (see copy of June 28 Journal News article enclosed). We worked closely with Tenant Representative Genevieve Roche who produced and distributed to the Board overwhelmingly compelling data and analysis showing continued and growing landlord profits in the midst of an economic recession – all at the tenants’ expense. Three (3) Public Members of the Board, Ian Joseph, Eddie Mae Barnes and Jane Morgenstern, all stood up to the landlords’ representatives arguments and most especially, rejected the outrageously bullying, intimidation and condescending tactics of “Public Member” and Chair, Joseph Whelan, whose behavior at the final vote was so outrageous that even the Division of Housing & Community Renewal (DHCR) counsel, Michael Rosenblatt was beside himself. In addition to the low guidelines (the lowest of the four regulated jurisdictions, the others being NYC, Nassau and Rockland), the Board flatly and resoundingly rejected the landlords’ attempts to pass minimal increases (what we call a “poor tax”) of $ 20 for a one (1) year renewal and $ 40 for a two (2) year renewals. The guidelines passed and the “poor tax” was defeated by the same 5 -2 margin. (The Chair doesn’t vote except to break a tie.) It was a great night for tenants! The landlords had originally called for 5% (1 year) and 9% (2 years) renewal increases the week before. At the final vote meeting, and in the face of the incredibly persuasive arguments adduced by Ms. Roche, they reduced their call to 3.5% and 7% guidelines. Dennis and Ms. Roche both were on Journal News columnist Phil Reisman’s WVOX radio program the next day, along with Landlord Representative Ken Finger by telephone. Dennis and Genevieve easily countered Mr. Finger’s arguments, most of which were largely irrelevant, i.e. his argument against the very legitimacy of the law that the guidelines apply to – the Emergency Tenant Protection Act (ETPA). Those low guidelines will save tenants in Westchester literally hundreds of thousands of dollars over the next two (2) years!! That money is much better in tenants’ hands and to be spent in the local economy, rather than lining the already bulging pockets of Westchester landlords! MVUT lobbied the Mt. Vernon City Council to pass a resolution in opposition to the horrible United States Supreme Court decision in Citizens United v. Federal Election Commission which equated campaign spending with free speech. There is a national movement to overturn this decision by having local jurisdictions (City Councils, Town Boards, County Boards, State Legislatures, etc.) pass a Resolution calling on Congress to pass a Constitutional Amendment to overturn this wrongheaded decision. It’s a real opportunity for people throughout the country to get involved locally and say that our democracy should not be for sale to the highest bidder. Individual citizens cannot compete with the nearly unlimited funds of huge corporations and the many billionaires in the country. If we reallybelieve in democracy – one man, one vote etc., we must remove the huge infusion of money already being unleashed by Citizens United. The Mt. Vernon City Council responded to MVUT’s entreaties and passed a Resolution on June 13 calling for the Congress to amend the Constitution. Thanks City Council!! If you know of others who would like to do likewise in other communities, call the MVUT office and we’ll help. We’ll do a Community View in The Journal News shortly on this. Watch for it. With all of the other work we were doing and winning on in June we also stopped eighteen (18) evictions and rehoused one (1) family!! How about that? !